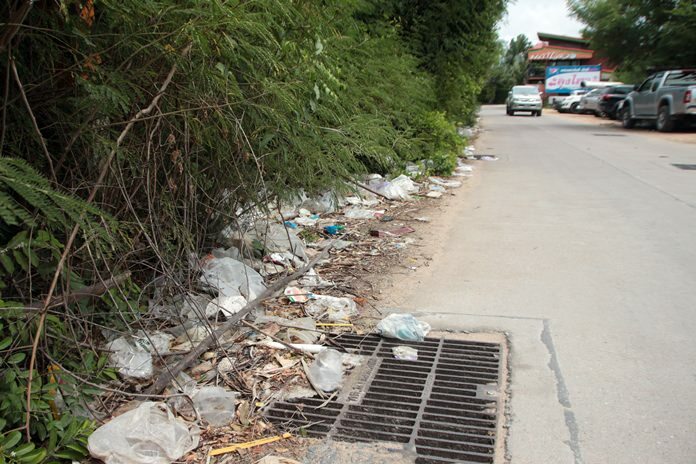 Sattahip District officials are being urged to clean up a long-standing dumpsite on the Pattaya border. Rotted and smelly rubbish is strewn along 100 meters of Soi Loong Sawai Restaurant in Najomtien. 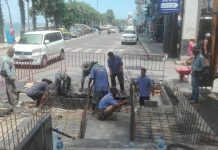 It’s an unpleasant sight and smell for commuters that has been ignored by both district and sub-district officials and Pattaya City. Residents urged authorities to not only clean up the mess, but fence off the land to prevent it from being used as a dump.